Les Misérables, one of the most famous musicals of all time, returns to Ireland this winter with a string of shows throughout December 2018 and January 2019. Originally based on Victor Hugo's classic novel of the same name, Le Misérables was turned into a musical with a French libretto by Alain Boubil and songs composed by Claude-Michel Schönberg. 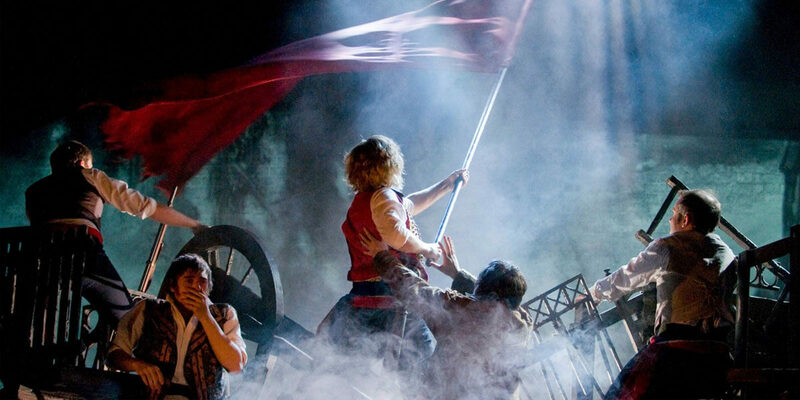 Cameron Mackintosh produced a brilliant new staging of Les Mis that has travelled from Broadway in New York City to a number of cities around North America, South America, Korea, Japan, Australia, Spain, France, Manila, Singapore, Dubai, and now – finally – Dublin. This is an absolute feast of spectacle, story, and costume, with amazing levels of production applied to every detail of the show. And that's before we get to classic songs like, I Dreamed a Dream, On My Own, and Do You Hear the People Sing? There's a reason this is the second-longest running musical of all time.